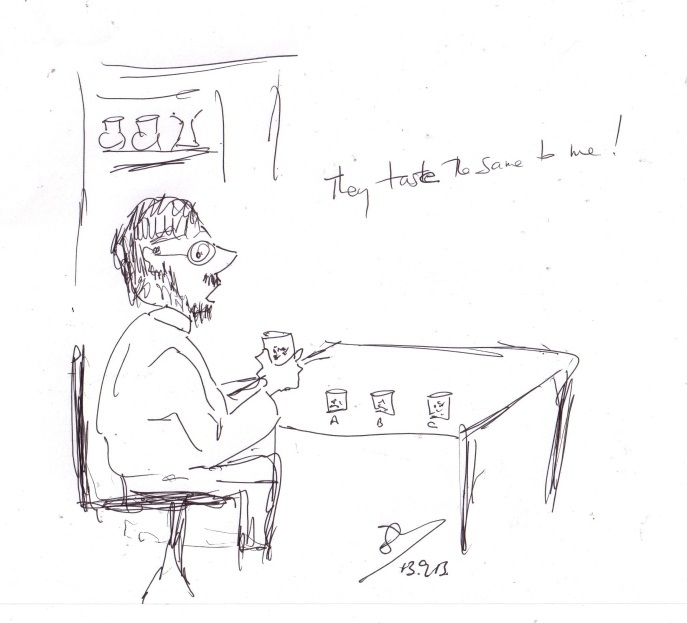 One morning sometime in the late 1970s, when I was doing my PhD at the University of East Anglia, I walked into the lab to find one of my fellow PhD students sitting in front of a row of Petri dishes filled with different species of aphids. Curious, I asked him what he was doing. His reply was that he was tasting the aphids to see why his ladybirds made the choices they did. This was a guy whose hobby was collecting and identifying Chamaemymiid flies, so I was not entirely surprised, although I did point out that it was unlikely his taste receptors and those of the two-spot ladybird (Adalia bipunctata) had a lot in common. That said, his premise that aphids don’t all taste the same was of course perfectly correct. Aphid predators, in particular ladybirds, seem to have quite strong preferences for different aphid species and these preferences are strongly correlated with larval development and subsequent fecundity as adults (Kalushkov, 1998; Kalushkov & Hodek, 2004). What is perhaps not as well-known is that certain aphids, like many lepidopteran larvae, are extremely good at sequestering potentially toxic chemicals from their host plants. 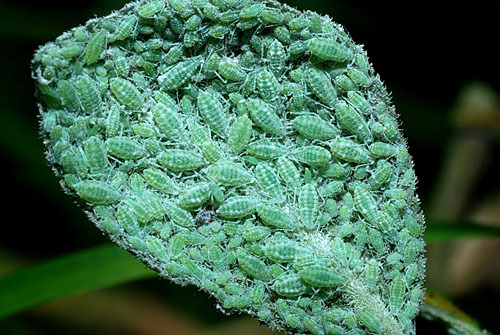 Over a century ago, Johnson (1907) noted that highly coloured and woolly (in this case meaning waxy) aphids were not eaten as readily as smoother, greener aphids. Half a century later Hodek (1956, 1957), showed that larvae of the seven spot ladybird (Coccinella septempunctata) were unable to complete their development if fed a diet of the elder aphid Aphis sambuci and that young adult ladybirds died if fed on the same diet. Note that A. sambuci although not brightly coloured has waxy plaques on its abdomen. The mealy plum aphid, Hyalopterus pruni, although bright green, is also waxy, and when attacked by larvae of the ten spot ladybird, Adalia decempunctata, is released as oon as the ladybird larva comes into contact with the aphid’s haemolymph (insect blood) (Dixon, 1958). appearance, it is extremely toxic to the eleven spot ladybird Semiadalia undecimnotata, although the seven spot ladybird finds it perfectly acceptable (Hodek, 1970). 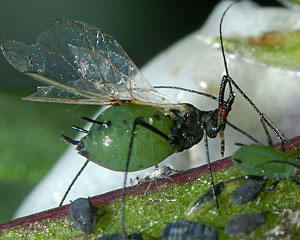 A similar effect is seen with the cabbage aphid, Brevicoryne brassicae, which is extremely good at sequestering glucosinolates, especially sinigrin, from its Brassica host plants. Glucosinolates are the compounds that give cabbages and related plants, such as Brussels sprouts, their distinctive flavour. In high dosages they can cause liver damage in young mammals, one of the reasons why children are so reluctant to eat cabbage, despite their parent’s urgings. 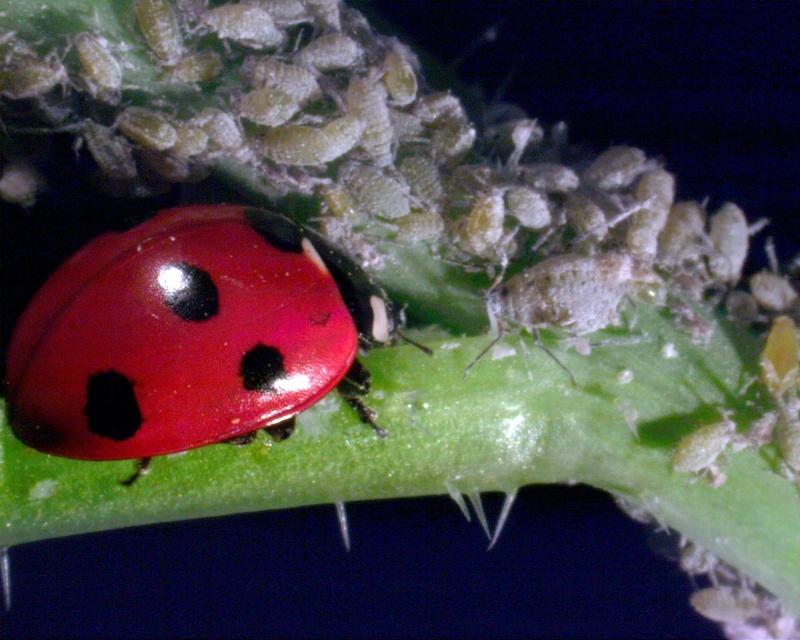 Brevicoryne brassicae is so good at sequestering glucosinolates that larvae of the two spot ladybird die when fed on aphids from sinigrin rich cabbages (Kazana et al., 2007). The seven spot ladybird however, although not entirely happy when fed on a diet of sinigrin- rich cabbage aphids is able to survive, develop and reproduce successfully (Pratt et al., 2008). It obviously has a much better detoxification system than that of the two spot ladybird which for an aphidophagous predator seems singularly specialist. 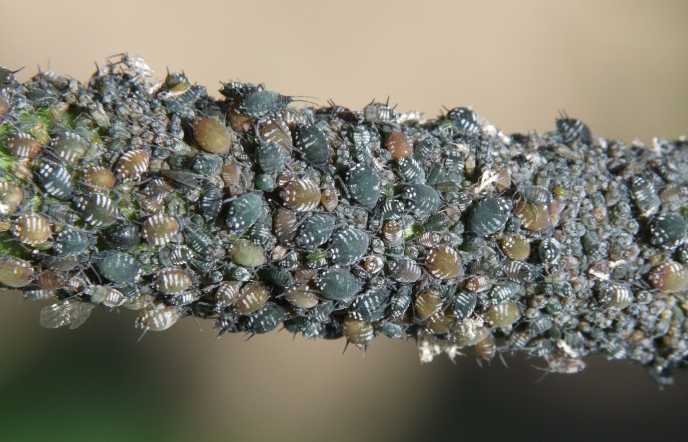 Brevicoryne brassicae – the cabbage aphid; a colony being approached by a hungry seven spot ladybird (Photo Corin Pratt & Tom Pope). even that voracious predator the Harlequin ladybird, Harmonia axyridis, turns tail when dabbed with the aphid’s siphuncular fluid, or if it is unlucky enough to bite into the aphid, drops the aphid, regurgitates and rapidly leaves the leaf on which the aphid colony is feeding. And finally, this striking, although rather noxious yellow aphid, the oleander aphid, Aphis nerii, which very honestly advertises that it is indeed a mouthful to be avoided. 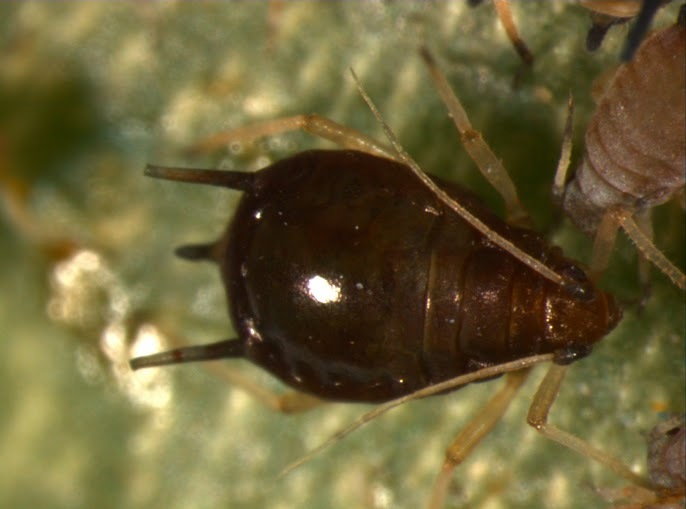 Aphis nerii is packed full ofcardiac glycosides which it sequesters from its host plant(Rothschild et al., 1970) and provides a powerful defence against potential predators, not just ladybirds. 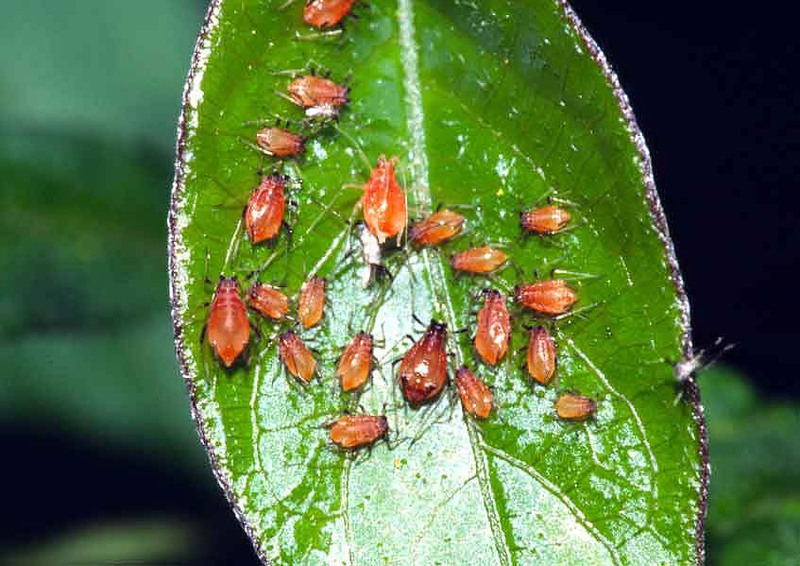 So bear in mind, that although aphids may seem to be soft-bodied, small and defenceless, many of them are extremely well defended chemically as well as behaviourally. 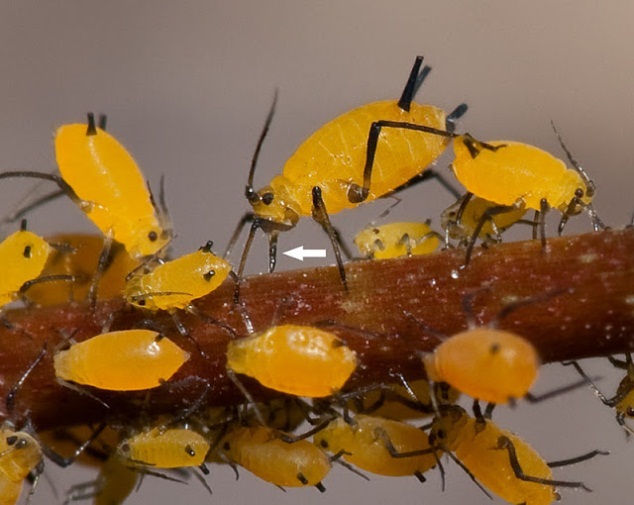 This suite of complex defence mechanisms may go some way to explain the ability of aphids to keep at least one step ahead of their natural enemies. Dixon, A.F.G., Martin-Smith, M. & Subramanian, G. (1965) Constituents of Megoura viciae Buckton. Journal of the Chemical Society, 296: 1562-1564. 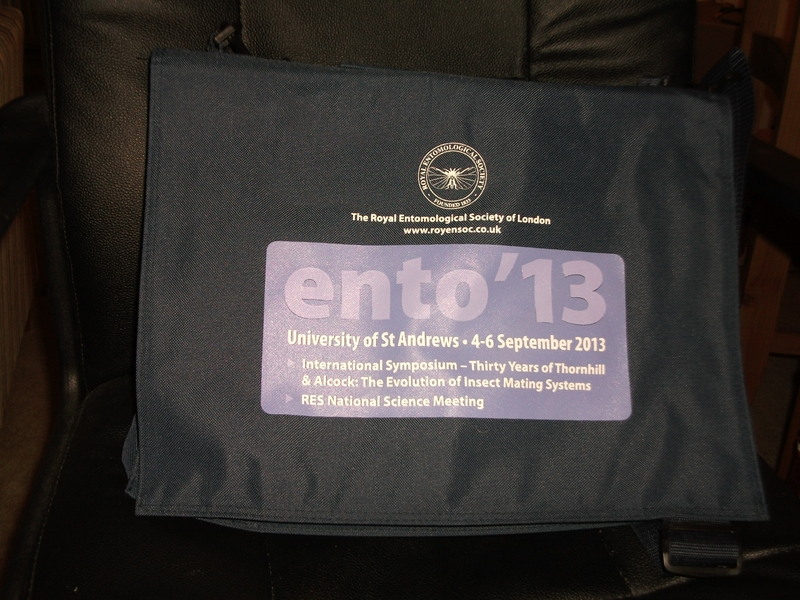 Last week (3rd-6th September) I attended ENTO13 the joint International Symposium and Annual National Science meeting of the Royal Entomological Society. of entomologists ranging from pest managers to lepidopterists and from PhD students to those who had cut their entomological teeth in the 1950s and ‘60s. For me and my accompanying PhD student, Francisca Sconce and co-driver, this meant a car journey of about 6½ hours, luckily in a very comfortable, apparently ecological car, a Hyundai i30 Blue which took us all the way there and back on one tank of diesel, with according to the fancy display, another 100 miles in reserve. The accommodation in Agnes Blackadder Hall was pretty palatial, with double beds, en-suite facilities and a television. Things have certainly changed since I was a student in undergraduate accommodation at the University of Leeds in the mid-1970s. 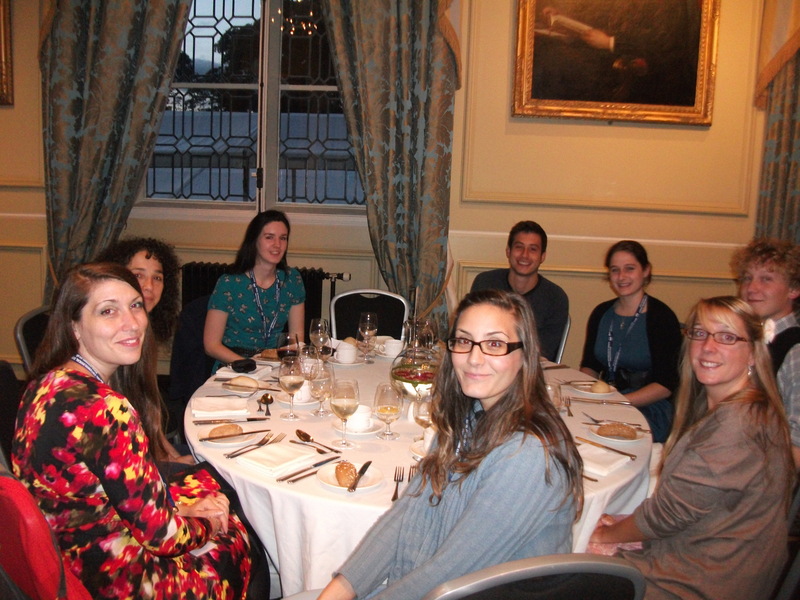 The programme started on the 4th with the sessions up until the very nice lunches, being the symposium, and after-lunch sessions being the presentations associated with the national meeting. 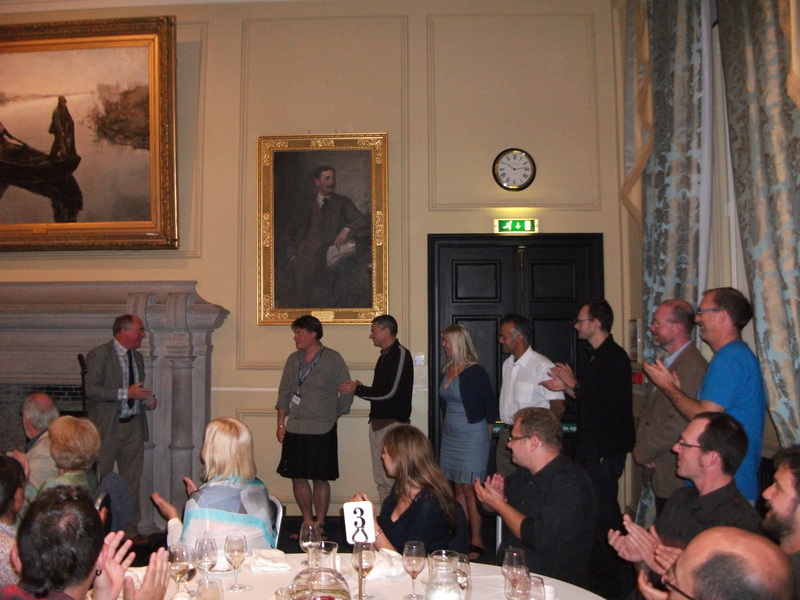 For those interested, the symposium speakers included Göran Arnqvist (Uppsala), Boris Baer (University of Western Australia), Bruno Buzatto (Western Australia), John Hunt (Exeter), Hanna Kokko (ANU), Trish Moore (Georgia), Ben Normark (UMASS), Mike Richie (St Andrews), Leigh Simmons (Western Australia), Per Smiseth (Edinburgh), Rhonda Snook (Sheffield) and Nina Wedell (University of Exeter). 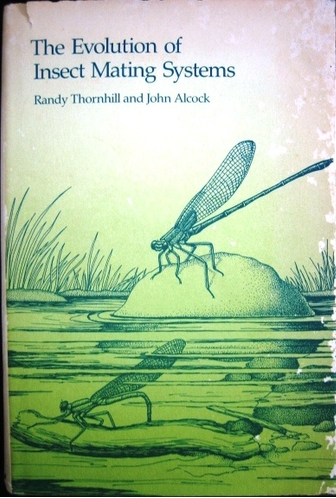 Some of the speakers had known Randy Thornville and John Alcock, others were in utero or not even a twinkle in the eye, when the famous book appeared in 1983. The afternoon speakers ranged in subject area from agro-ecology, sexual selection and in my case, social media and entomology. Unlike INTECOL2013, where I spent an equal amount of time between talks and roaming the poster hall, I managed to attend a full set of talks each day, except for one that I missed by accident. So a full, varied and very interesting programme. I have to say that having only two concurrent sessions made it a lot easier to make decisions; a definite advantage that smaller conferences have over bigger ones. 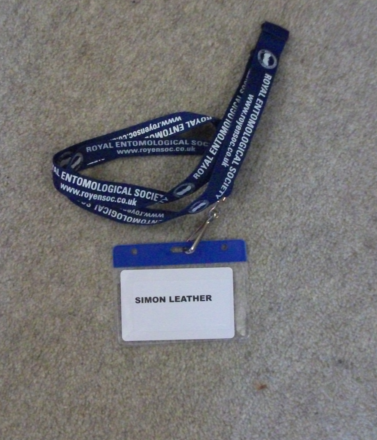 I mentioned the delegate badges at INTECOL2013, giving them a definite thumbs-up, so it is only fair that I mention the ENTO13 ones. They were not large, but the font was a good size and both sides of the badge had our names on, so it didn’t matter if they twizzled round during the day. at Harper Adams University, were talking, exhibiting posters or just in attendance. 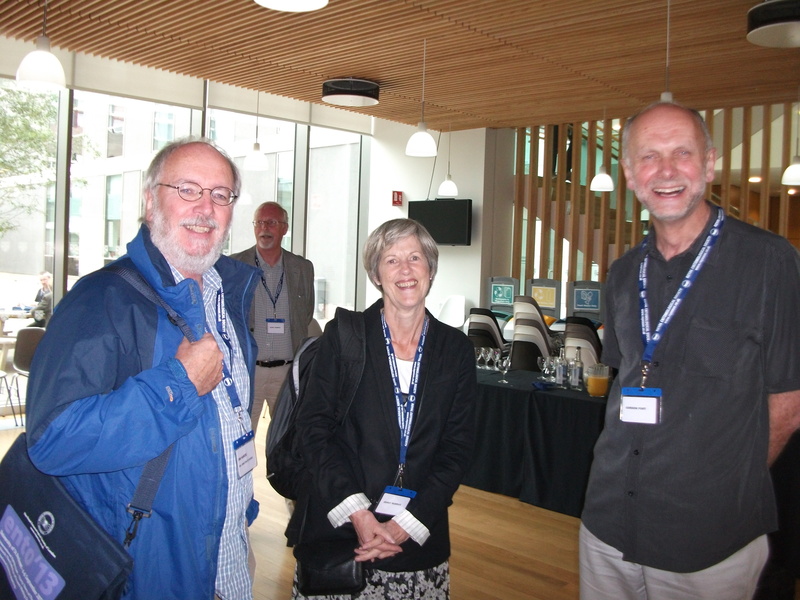 It was great to see old friends, some like Darryl Gwynne, whom I have known for over 20 years via email, but had never met, and to meet and talk to many others. I didn’t get to talk to all the delegates, but unlike INTECOL2013, I did manage to see everyone that I had intended to. 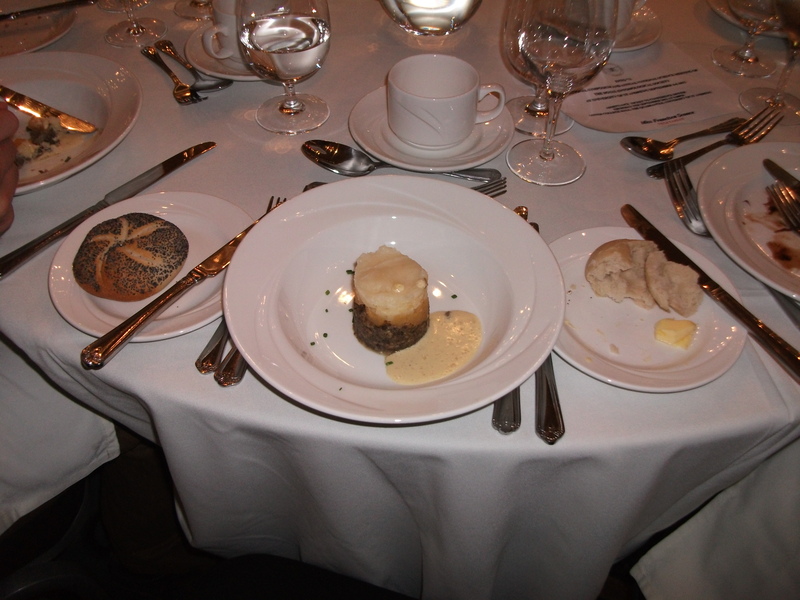 At the very nice conference dinner, where our starter was a very nice mini haggis, neeps and tattie confection, our President Jeremy Thomas, gave a mercifully short speech and allowed Fellows to sign the Obligation Book, if they had not already done so. 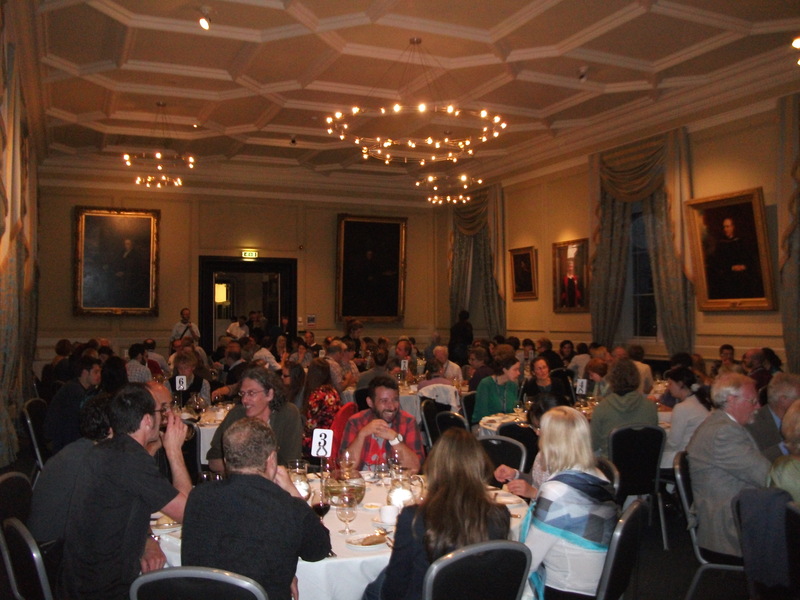 For those not immersed in the arcane lore of the Royal Entomological Society, the Obligations Book is signed by newly elected Fellows the first time that they are at meeting where the book is present. 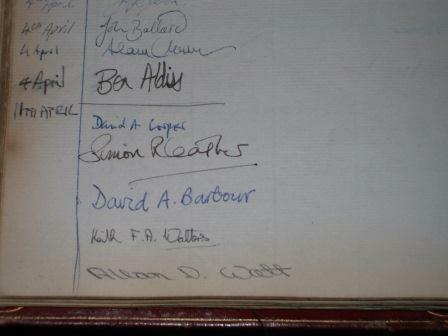 As the book very rarely leaves London, it is sometimes several years before a Fellow actually signs the book and accepts the obligations placed on him or her, as a member of the Society. The really thrilling thing about the Obligations Book is that as well as being signed twice by Queen Victoria, once as Princess Victoria when she became the Patron of the Society, it also contains the signatures of Charles Darwin and Alfred Russel Wallace. This meeting was the second time that the book had been in Scotland, the first time being back in April 1984 at a meeting organised by Allan Watt and myself in Edinburgh. It brought back memories to see our signatures preserved for posterity, although my signature over the years has deteriorated seriously and now no longer resembles the one in the book. 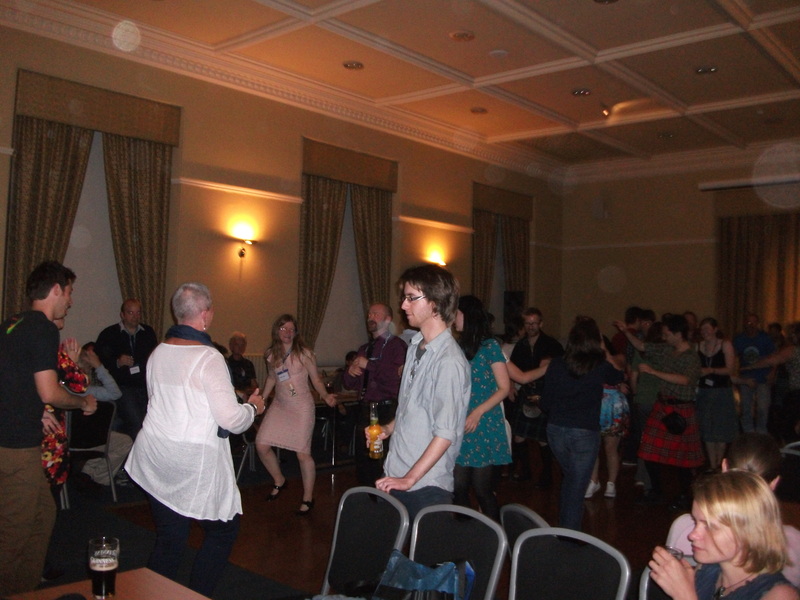 Being in Scotland, there was of course the obligatory ceilidh after the conference dinner. 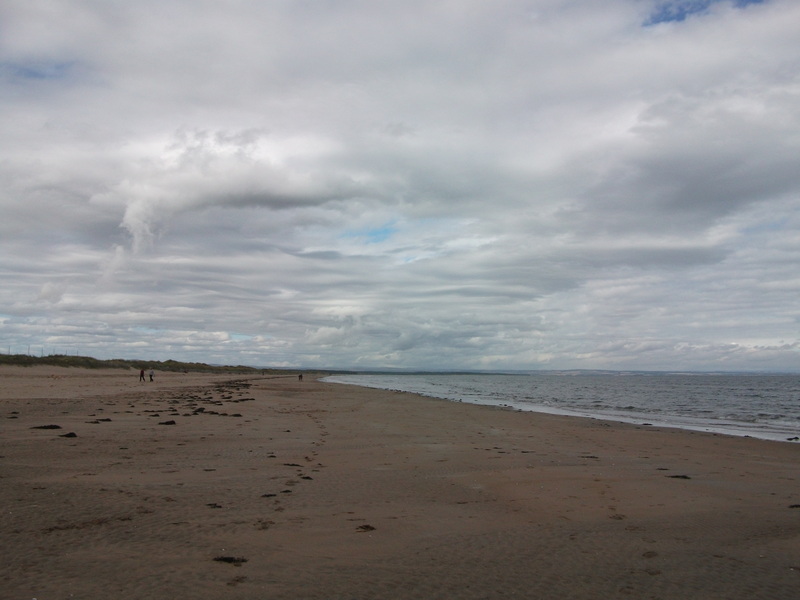 As I was speaking the next day, I had only one dance and one swift dram of the Macallan. My talk, first one after lunch on the last day of the conference, not exactly a prime-time slot, was all about why I began to Tweet and Blog, and will be the subject of a future post. 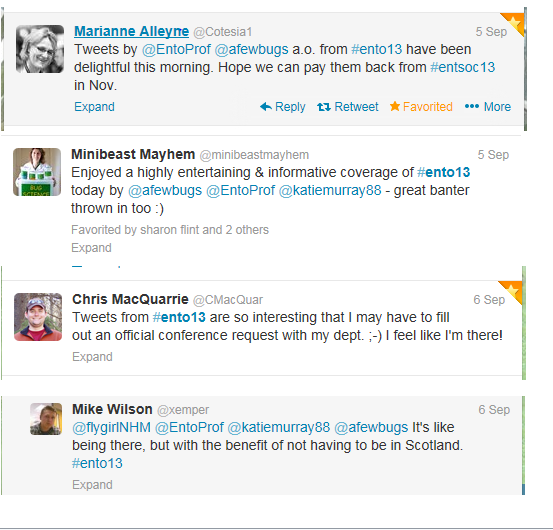 Speaking of Twitter, ENTO13 was not as Tweet-enabled as INTECOL2013, but a small, but dedicated band of tweeters summarised every talk throughout the conference and we engaged “Tweetisitors”, not only from the UK but Australia, New Zealand, Canada and the USA. 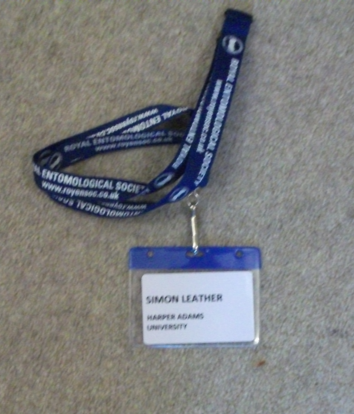 Overall, ENTO13 was a thoroughly enjoyable and informative conference and I would like to thank the Royal Entomological Society and the symposium organisers for providing me the opportunity to re-visit St Andrews and to meet so many interesting entomologists. 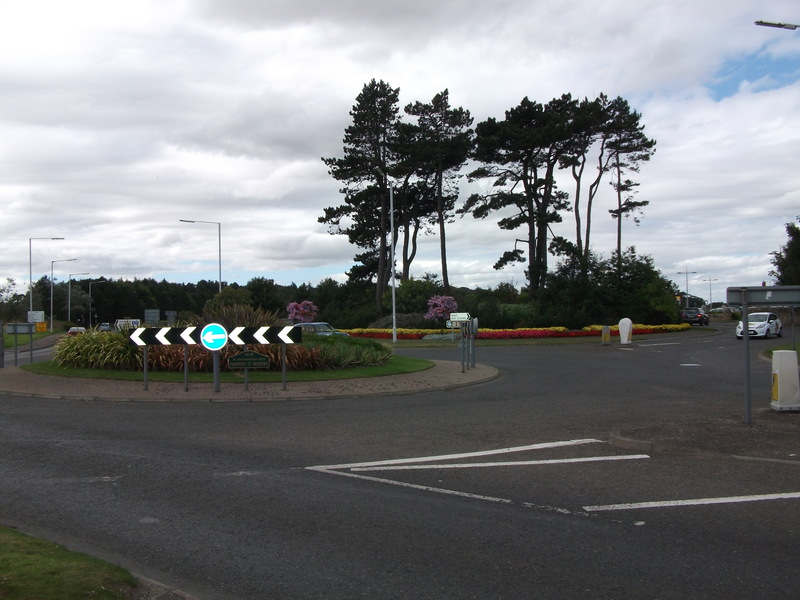 I also managed to add a new roundabout to my collection – this double just outside the university, the big one with appropriately enough, Scots pine trees, the other with various exotics.